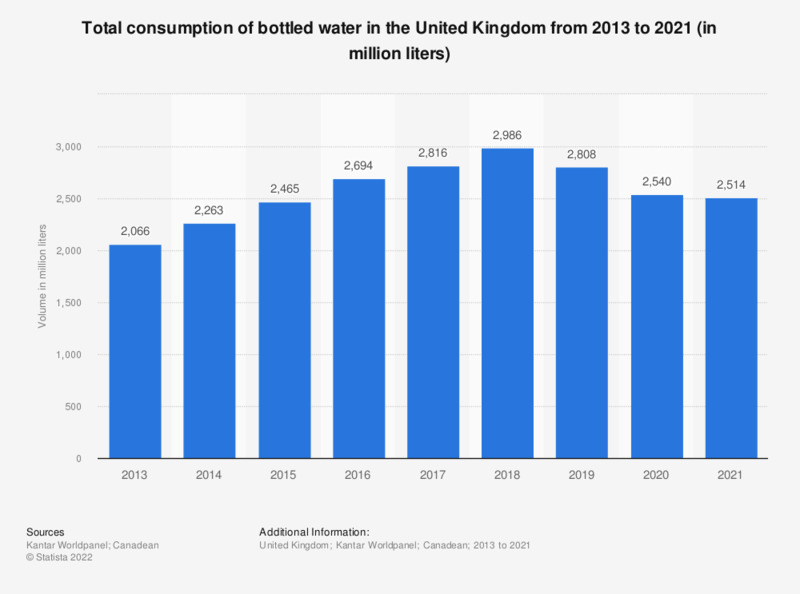 This statistic shows the annual consumption of bottled water in the United Kingdom (UK) from 2012 to 2017. In 2017, approximately 2.8 billion liters of bottled water were consumed in the UK. The report defines bottled water as follows: "Still, sparkling water and lightly carbonated natural mineral water, spring water, bottled drinking water; packaged water in sizes of 10 litres and below; water for coolers in sizes of 10.1 litres and above"